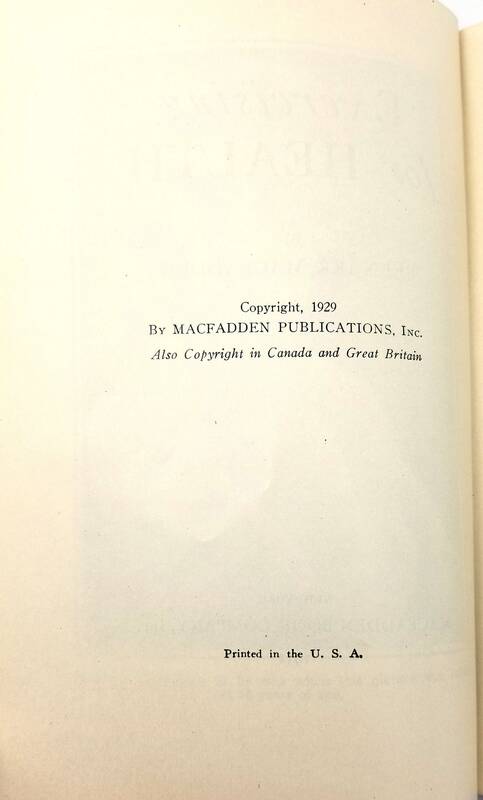 Description: Copyright date of 1929, print date of 1931. Book has a little bumping and wear to extremities; cocking to spine, mainly at head; gilt title on front board and spine are darkened; glue line along spine edge of ffep, presumably where offer tear-out has been; no marks; binding is sound. 1931. Laid in is a 14.5 x 14" double sided poster. 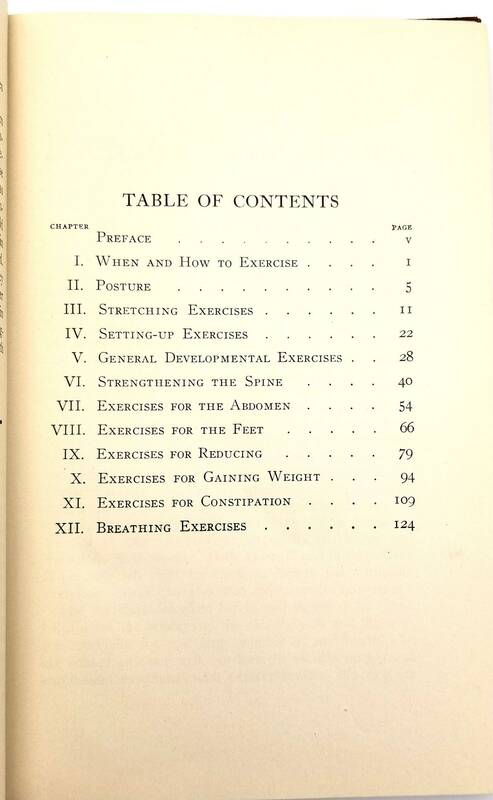 One side is "Exercises for Women, posed by Miss Helen Macfadden, daughter of Bernarr Macfadden." 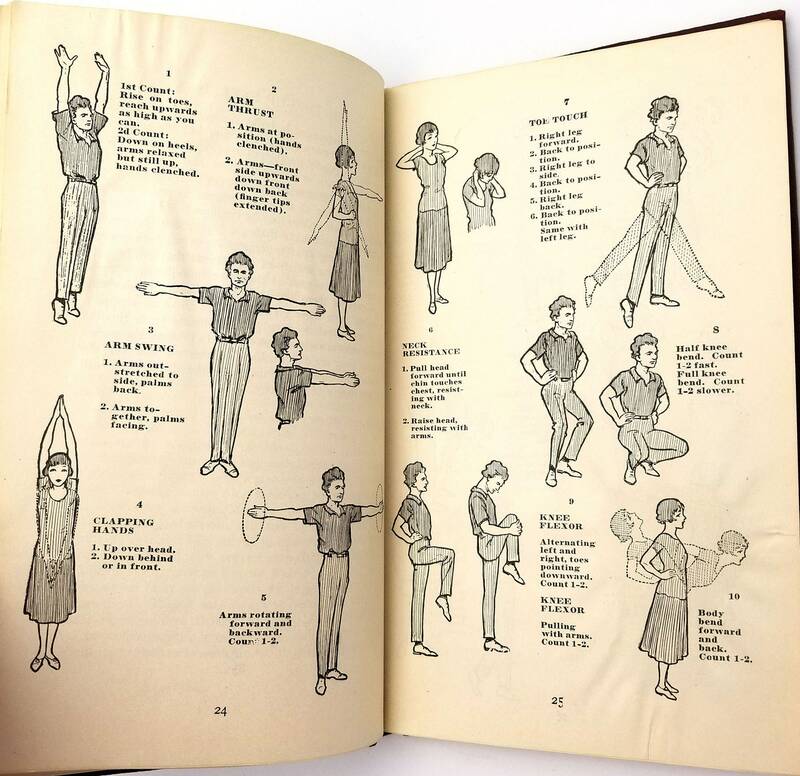 The reverse side demonstrates a series of exercises, as shown by Bernarr, called "Ten Minutes a Day for Health." 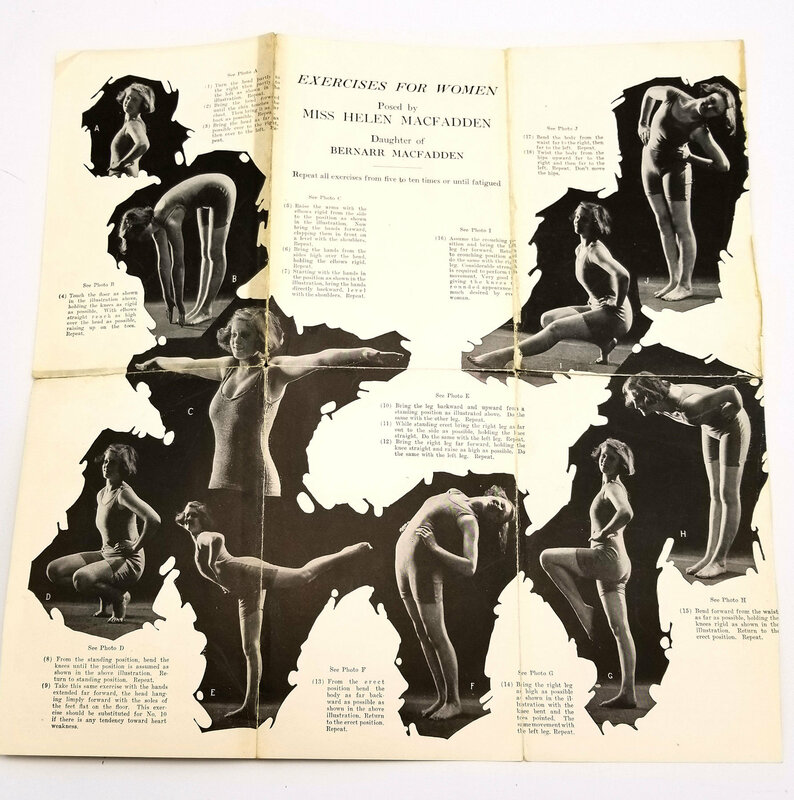 The poster has been folded: creases are fragile, one fold has separated. Unsure of the origin of the poster. 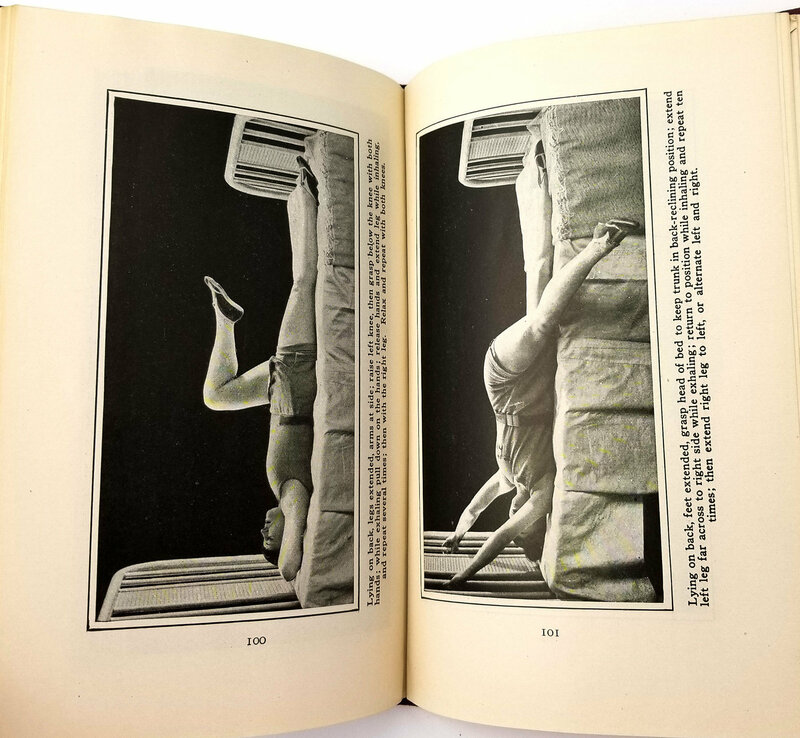 The book is missing the original tipped-in flyer that preceded the first ffep. 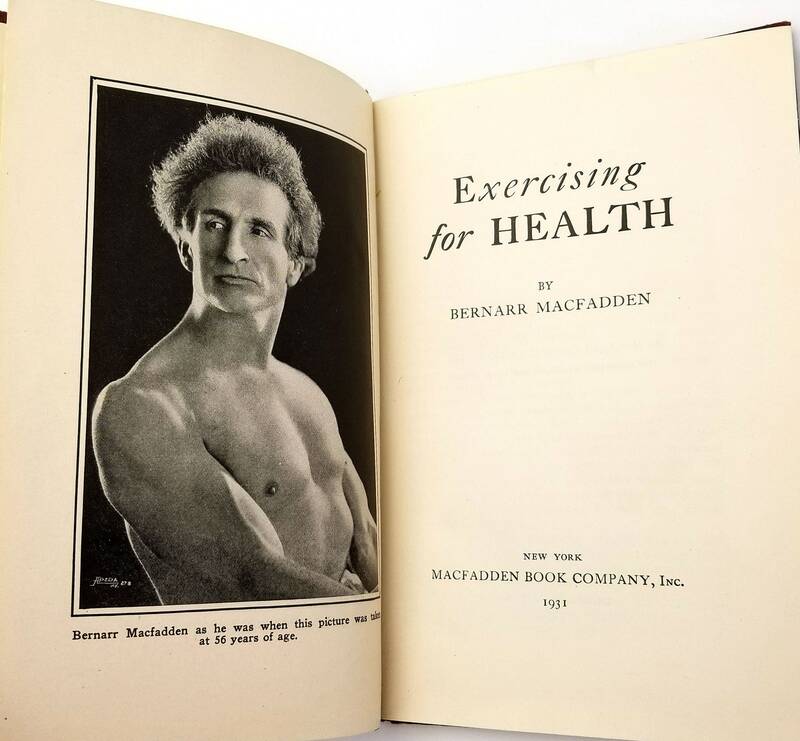 Bernarr Macfadden was an early Twentieth century proponent of health, fitness, and physical culture and was a predecessor to Charles Atlas and Jack LaLanne. 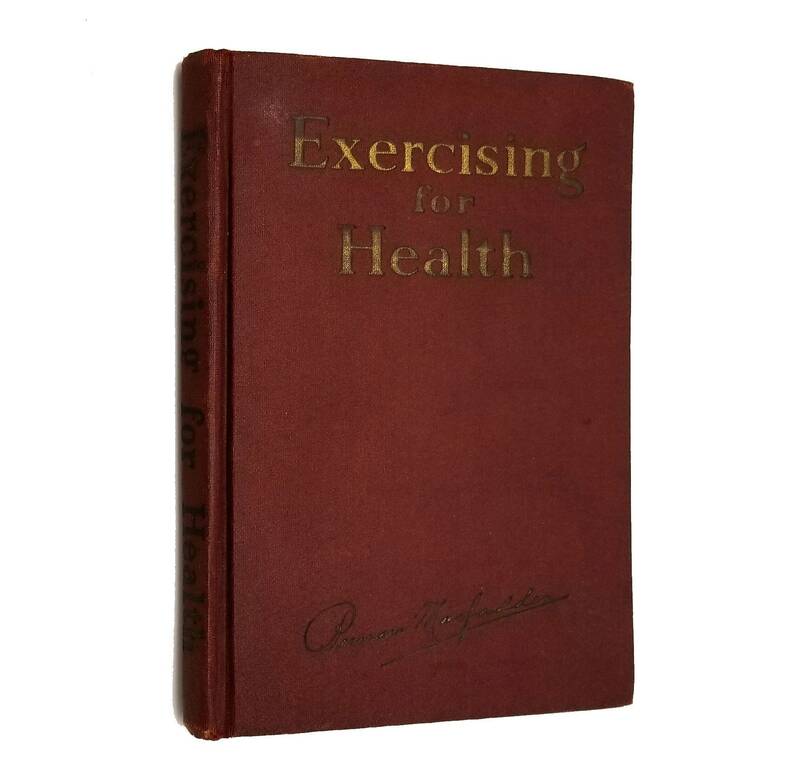 Publisher: MacFadden Book Company, Inc.